Tanker 118 on the Lowell Fire, July 25, 2015. Photo by Matthew Rhodes. Jennifer Jones, a spokesperson for the U.S. Forest Service in Boise, was interviewed by KVPR about air tankers. 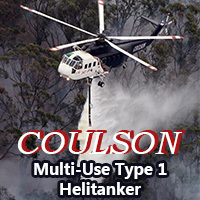 It began with a discussion about the HC-130H, Tanker 118, a USFS owned/contractor operated air tanker that has been used for a few weeks working out of McClellan Airport. She was very well-spoken and knowledgeable, and generally did an outstanding job. 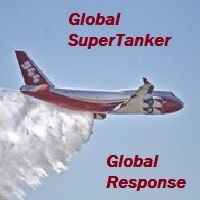 However, she said “…nobody manufactures off the line air tankers”, which illustrates the apparent bias of the USFS against the purpose-built “SuperScoopers”, the CL-215 and the CL-415 used by the dozens in other countries in North America and Europe. 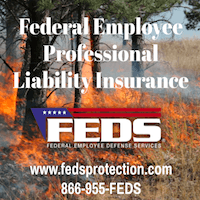 The USFS contracted for their first one last year. The Air Tractor single engine air tankers could be considered purpose-built. They were first designed as crop sprayers in 1973, but the conversion from dropping pesticides to fire retardant in 1990 was not a huge leap and the mission profiles are similar. Air Tankers, mostly purpose built CL-415s, and other firefighting aircraft at Dryden (Ontario) Regional Airport in mid-June, 2015. They are owned by the Province of Ontario, one of the 10 provinces in Canada. Photo by Chris Sherwin, via Mike. Click to enlarge. And don’t forget the Russian-built Be-200. I consider it a hybrid, since it was designed as an amphibious scooping air tanker, but has provisions for carrying passengers when it’s not suppressing fires. This may have been a compromise during the design process, when a high-ranking politician could have said, “But what if it could also do this, and this….”. Much like the convoluted process of designing the Bradely Fighting Vehicle. So many additional functions were added that it could no longer efficiently and safely function in it’s intended role; transporting troops. I am impressed by the design of some purpose-built aircraft that do not have a single wasted or unused cubic foot. 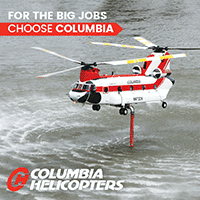 Think about the K-MAX and the Sikorsky S-64 (Erickson Air-Crane) that are built to do one thing — lift heavy loads. No compromises there. Looks that only an aircraft engineer could love, but very efficient. The Air Tractor is another pretty good example. An Erickson Air-Crane reloads with retardant while fighting the Beaver Fire in northern California, August 12, 2014. Photo by Bill Gabbert. An air tanker is not required to have a cavernous unused space inside like Tanker 910 below. Imagine how much the weight and air resistance could be reduced if an air tanker was not built around space to carry 380 passengers. This is not a criticism of the DC-10 air tankers. 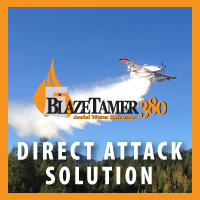 They selected one of the best air frames available at a reasonable cost and figured out a way to turn it into a very effective and useful firefighting tool. Interior of tanker 910, a DC-10, at Rapid City, April 23, 2013. Photo by Bill Gabbert. wow Bill, that’s one of the best-thought-out editorial pieces you’ve written in a long time. Totally agree!! Thanks for a really thought-provoking piece. I have often day dreamed of a purpose built air tanker.my thoughts always go to a F7F style..basically a tank with a cockpit,and tail assembly ,and of course wings,turboprop engines (2) with the fuel and other necessary liquids and such in the wings,with all the computers or what have you for systems in the tail section,with minimal gauges,to distract the pilot,with almost an all clear nose for visibility,maybe a cockpit for systems management in the tail section behind the tank,like a beufighter . We are a design team currently designing a next generation LAT. We would greatly appreciate if you share your ideas with us. Good piece. The Be-200 interestingly enough remains “purpose built” in that the wing spar was designed around liquid load movement. This is IMHO a defining factor when designating an aircraft for “water dropping” missions. Food for thought! I have contacted Burt Rutan in 2007 about designing an airtanker. His response was simple. The design isn’t the real issue but finding a customer is. National agencies won’t take that sort of risk and they don’t have the budget for it anyway. Once again, it has to come from entrepreneurs of the private sector willing to take the challenge to finance the design, the certification and then put it on the market for sale or for contracts. 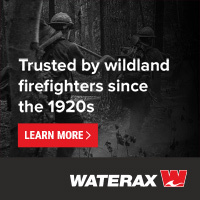 So…kudos to all private companies willing to take the risks; study and modify existing aircraft to fight fires and provide air support to ground fire fighters. One day, aviation historians will recognize this industry as one of the most creative in aviation history. Before the DC-10 tanker fleet came on line, I had been suggesting the use of a retrofitted commercial airliner for Fire Tanker service. Now, as the wild fire problem has become worse, I have been sending emails and letters to everyone I can think of to retrofitting the C-5M aircraft and also creating a “racetrack” refueling area close to the fire. These aircraft are already outfitted with air-refueling capability; it’s not rocket science to adding an additional receptical for retardant or water. The C-5M would dwarf the offload capability of anything currently in service. 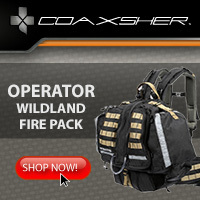 These aircraft are also can easily be fitted with TFR and night flying capability. With the racetrack in place, the dual receptical being added, the endurance factor comes down to aircrew management. The C-5 (all variants) have additional space for a backup crew as well. The implementation of this aircraft for air attack service could literally mean the end of so many of these fires. Loaded with either water or foschek, in some cases the “fire is out with one pass”. If tasked to design an air tanker, I wonder what the folks at Mojave Air and Space Port, out in the high desert in Kern County, CA, would come up with? I believe that is where they ran test trials for 10 Tanker 10 now in service. Design an aircraft for air attack would be great indeed; however, there are already suitable C-5M airframes which could be quickly brought into service and retrofitted with what is needed. The C-5 rotates quickly with a light fuel load and with the racetrack nearby, the TOT is almost unlimited. Water is 8lbs per gallon; I don’t know what foschek weighs in at though. Anyhow, we are talking “many” more gallons/pounds of either one that 10 Tanker 10 or the Evergreen 747-400, which I heard was not going into service with the USFS. https://www.youtube.com/watch?v=LvNwiczJ69k. Additionally, the new C6 GE engines deliver at or above 50,000 lbs. each. The listed max wartime payload is 291,000 lbs., but this would change with removal of non-essential items being removed for retrofitting to Air Tanker duty. The data is all out there. I sincerely wish someone would take this to study, for how many lives would no longer be ruined/lost by the wildfires that ravage this state (and others every year). For the sake of the thousands of citizens and firefighters, I would appreciate it if anyone could direct me on whom to present this idea to. I have already worked out the aerodynamics, and several conversion scenarios. The only thing needed, is of course funding. I realize this is a “show stopper” for so many good programs and ideas, but financing should not rule the day every time. As I said earlier above, I was constantly urging the conversion of commercial aircraft and now we have a small fleet of DC-10/MD-11 aircraft. Whoever reads this post, would you please direct me to where I can make my case for implementation of the C-5M conversion to an air attack platform. Thank You!! send me an email , We will talk about it. Jerome’s thoughts are on target, dead center. Who or what agency would move forward on such an endeavor? Who, would have to be a aviation fire buff billionaire that would take this project on as a personal challenge. The project would benefit all those impacted by unwanted wildland fires, especially those at risk outside federal lands. As far as an agency forget it. Why is there a need to design a “new” LAT? In the aerial application business (1940,50,60’s) there were airplanes not designed to be crop dusters. These airplanes were modified Stermans, Super Cubs and Travel Airs to fulfill the needs of agri-business. Certainly this era of business has changed as much as retiring TBM and B-17s. Both fire and farm airplanes of the past accomplished the task. 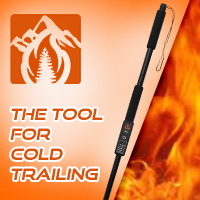 Todays drop delivery systems have greatly improved the on-ground-foot-print of retardant delivery. The delivery system (constant flow) is the difference between yesterday (B 17) and any of the current tankers so equipped. 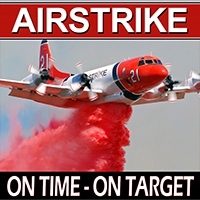 There are hundreds of retired airframes both civilian and military that could be utilized in the air tanker role.